Printed magnetic flooring has an array of different uses and can be used to create a wide variety of effects that perfectly fit your taste and style. The great advantage of such flooring is that it is extremely easy to use and just sticks onto the receptive base in seconds. Using printed magnetic flooring gives you a lot of creative choices. The great thing is that with printed magnetic flooring you can create any effect you want for your space. In office spaces, you can pass on the cheap carpet tiles that are quickly worn out and upgrade to a more visually appealing floor. It’s easy to clean and more importantly, easy to update. We spend 1/3 of our lives in an office, so the ability to update the design and keep things fresh is a big win. You’re able to upgrade what might be an old and dingy office into a bright and welcoming space, just by adding a well-thought-out design to your floor. It also allows placing your branding where everyone will see it and maybe free up space from your walls for whiteboards, charts or just beautiful pictures. Magnetic flooring really comes into its own in retail spaces. You can customise everything about your store this way – magnetic wall prints and printed magnetic flooring. It’s an old cliché, but the possibilities really are limited only by your imagination. IKEA-style paths to different departments? Sponsored branding in certain aisles? Or even just friendly messages from the owners. Due to the magnetic nature of the pieces, when you want to update or change, simply pull up the tile and replace it. The greatest use of printed magnetic flooring in a retail space, however, has to be the ability to show messages. Magnetic flooring can double your promotional space in an instant. If you’ve already run out of wall space and you gondola ends or point of sale areas are already filled, simply show your messages at people’s feet. You can install them in your child’s room to create a themed little lair just for them. You can go with the jungle theme effect if they are big fans of the Jungle Book or African theme if they love the Lion King. It is one of the best ways to liven up your child’s room in a safe, and cost effective way. What we can print is limited only by the designs you can come up with. Your child will absolutely love their room, and the better your room looks, the better you feel about it. On top of this, the endless variety of designs allows you to have your imagination run wild and free so that you can go for whatever you want, be it a movie theme or anything else. If you are someone who likes to keep up with the seasonal changes, then you have the perfect solution because you can always change and go for that particular design and floor that reflects the seasons. You can go for bright colours such as white, mint, or cream in the hot summer months and then turn to darker colours such as a deep blue, grey or black when the cold months of winter hit. This is a good way to keep your house up to date so that you can express your individual taste and mood. With custom magnetic flooring, your floors don’t have to be plain and bland like they were in the old days. You can actually create entire themes with them. A bamboo floor for your kitchen sets the right tone if you want to incorporate just a little bit of nature and the outdoors in your house in a subtle way. You can pair the beautiful floor with complimentary plants, and you have a whole new fresh look that is made exactly how like want it. If you are not feeling particularly adventurous and want to stay on the safe side then you can opt for flooring with a printed wooden design, make it look like a concrete floor or choose from a variety of different metallic looks such as zinc, copper or old gold. This will give your space a chic, everlasting effect that you can build upon and add to. Magnetic flooring provides a blank canvas for any interior designer to spice up their clients’ spaces. First, you lay down a receptive material onto the floor – similar to vinyl. Then you lay your printed magnetic tiles onto it in whatever pattern/order you wish. When you want a change or need to replace a damaged tile, simply pull it up and put a new one in its place – it’s that simple! 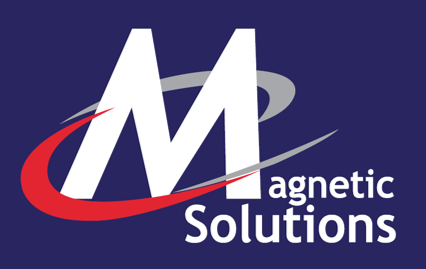 Learn more about our printed magnetic flooring.